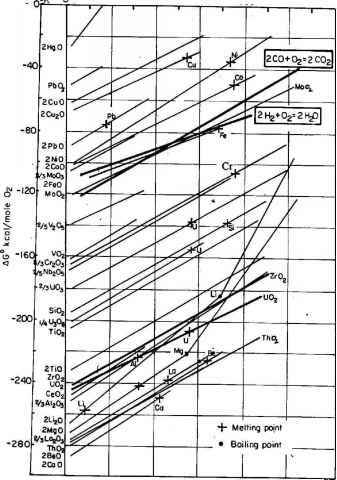 Note that if ACP is assumed to be zero, the coefficients A and C reduce to the constant standard enthalpy and entropy changes, B vanishes, and Eq (9.58) reduces to Eq (9.53) with constant coefficients. Table 9.3 gives an abbreviated example of a compilation based on Eq (9.57). Note that many of the reactions give no value for B. These are reactions for which the experimental data is not sufficiently accurate to detect curvature in the AGo Vs T plot.